Adobe Acrobat is an excellent PDF program that comes with great editing features. One of its popular functions is the ability to create fillable PDF forms with various form-tools. However, if you don’t have a full copy of Adobe Acrobat, you may not be able to use it. In this article, we discuss the best Adobe Acrobat alternative software and online programs that you can use to create a fillable PDF easily. PDFelement ProPDFelement Pro is among the best Adobe Acrobat alternatives for creating a fillable PDF on both Windows and Mac devices. This powerful editing tool allows you to fill out PDF forms and edit PDF form data effortlessly. It also allows users to export and import PDF form data to fill out PDF forms quickly and easily. PDFelement Pro provides you with the most commonly used PDF form templates which can be downloaded for free. The form templates are designed for various categories such as Business, Employment, Education and Housing, Health, Finance, Law, and Travel. 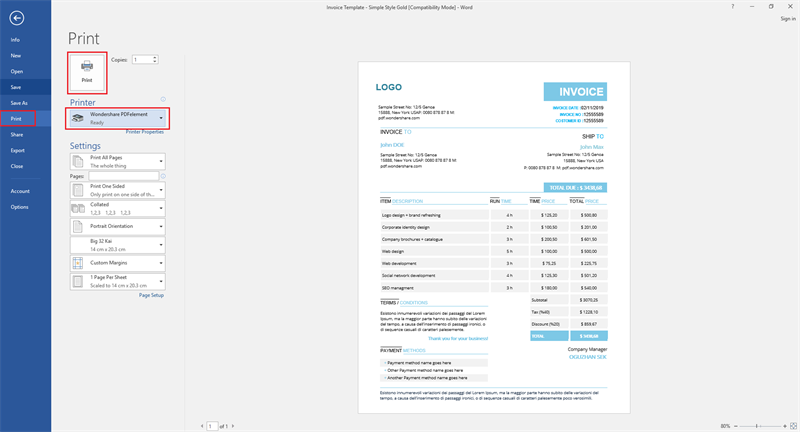 You can download your preferred PDF form template to get started. 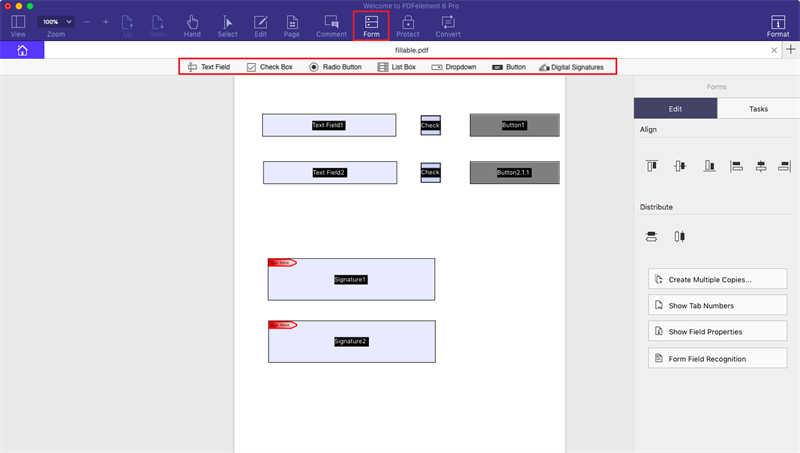 Open your downloaded PDF template on PDFelement Pro, and select the text box you want to edit. To the right of the Edit area, a text font menu and color menu will appear. You can edit the fillable PDF as needed. There are other editing tools available like "Add Text", "Add Image", "Link" and more. Open PDFelement Pro and create a new blank PDF file by clicking on "File" > "Create" > "Blank Document". From the "Form" menu, you can create your fillable PDF by choosing tools like "Text Field", "Check Box", "Radio Button", "List Box", etc. After you have added all the elements you need, you can align or distribute fields on the right side menu window. After you create your fillable PDF form, you can enable the "Edit" option in the top tool bar, which allows you to fill out the fields. It also provides several functions such as "Add Image", "Link", "OCR", "Watermark" and more. It is a convenient and professional fillable form creator that meet all your form requirements. Jotform is an online PDF form creator that helps users create fillable PDF forms easily. 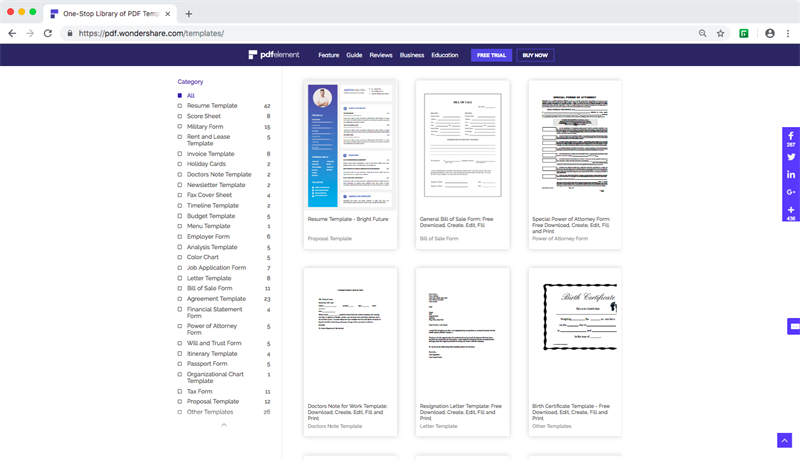 There are over 8,000 templates that you can choose from, or you can create your own fillable PDF form from scratch with the drag and drop builder. Users can also export the form to fillable PDFs or send them directly to the intended recipients. Step 1. Launch your browser and visit jotform.com. Step 2. Click on "Create a fillable PDF form". A pop-up window will appear with two options for making PDF form online (Classic Form or Card Form). Step 3. 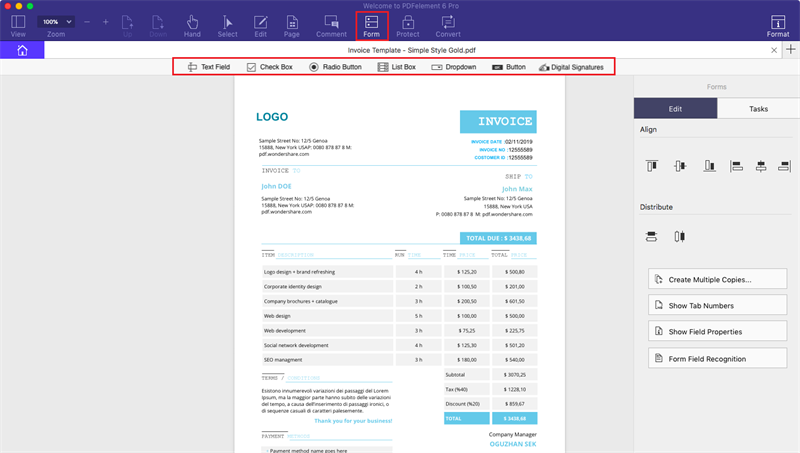 Select “Create PDF Form” to make a brand new fillable PDF form. In the next tab, you will be able to see form fields. Jotform has any type of form field you might need available. Step 4. Once you have created the fillable PDF form, you can save it to your computer. 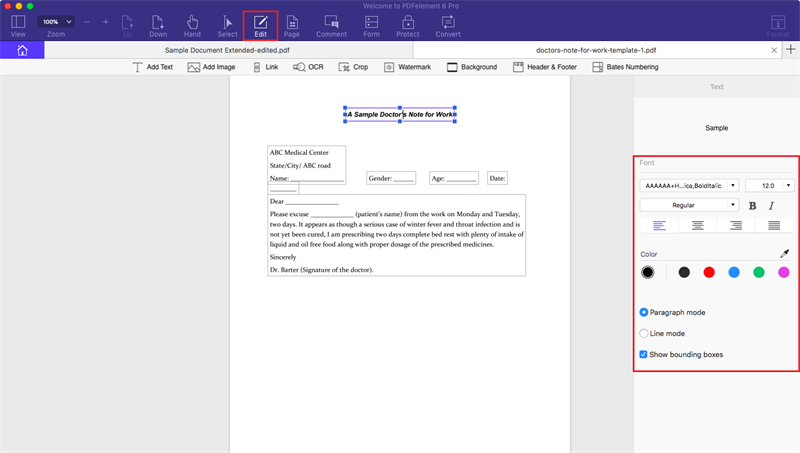 Word is also an excellent PDF form creator as it can help you create high-quality fillable forms. You just need to start with a template. 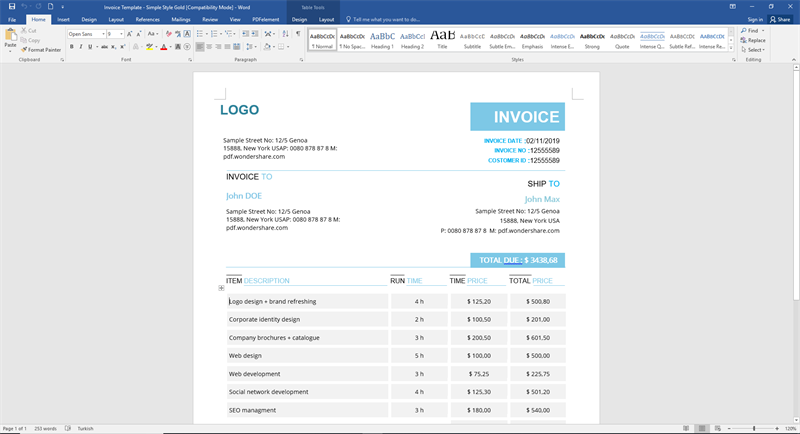 Here is a detailed step by step guide on how to make a fillable PDF in Word. Open the form template (Word Document) that you want to make into a fillable PDF form. Go to "File"> "Print" and ensure that "Wondershare PDFelement" is selected as the printer. Click on the print button. 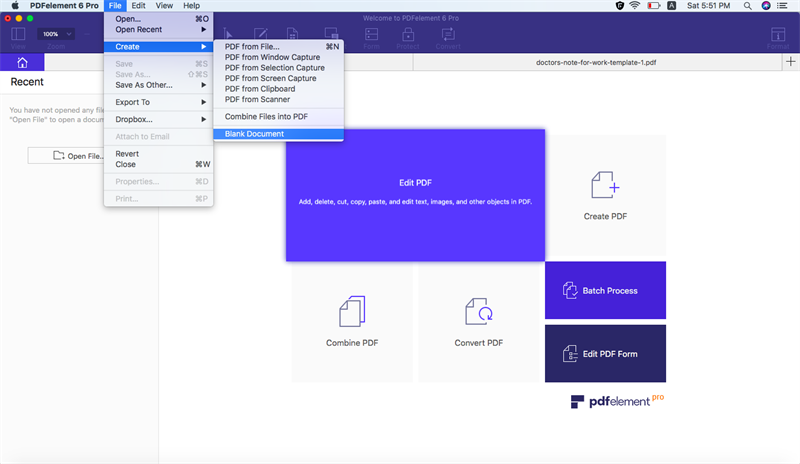 The fillable PDF you created will then open automatically in PDFelement Pro. Click on the "Form" button to make the PDF fillable. 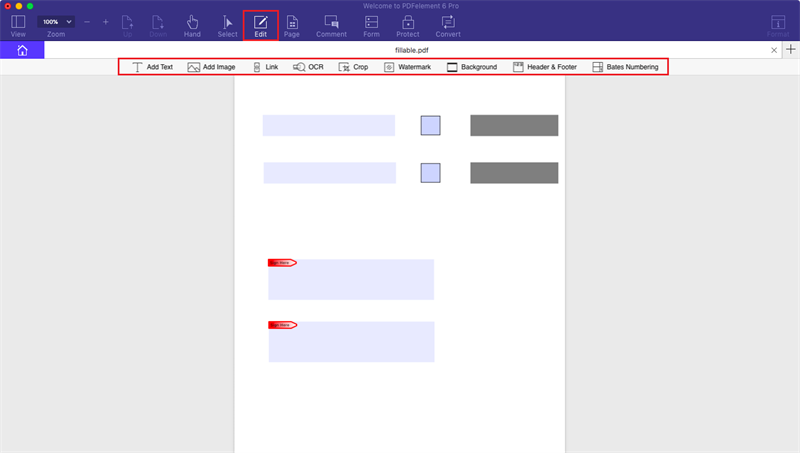 Then you can use the tools on the "Form" menu to edit your fillable PDF.